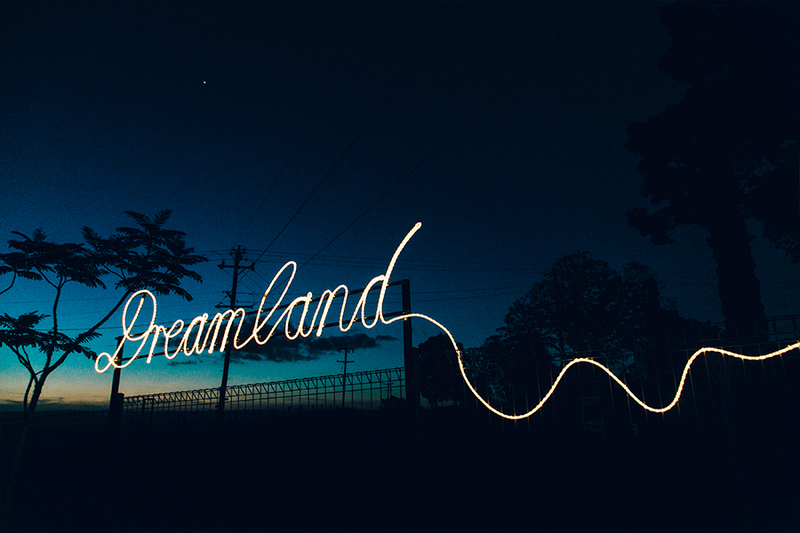 Step into Dreamland by looking through our photo gallery. In many ways this work is a follow up to NORPA’s production of Railway Wonderland (2012 & 2015), which is also site-specific. My collaborator, Janis and I were interested in replicating the structure and style of Railway when developing Dreamland. 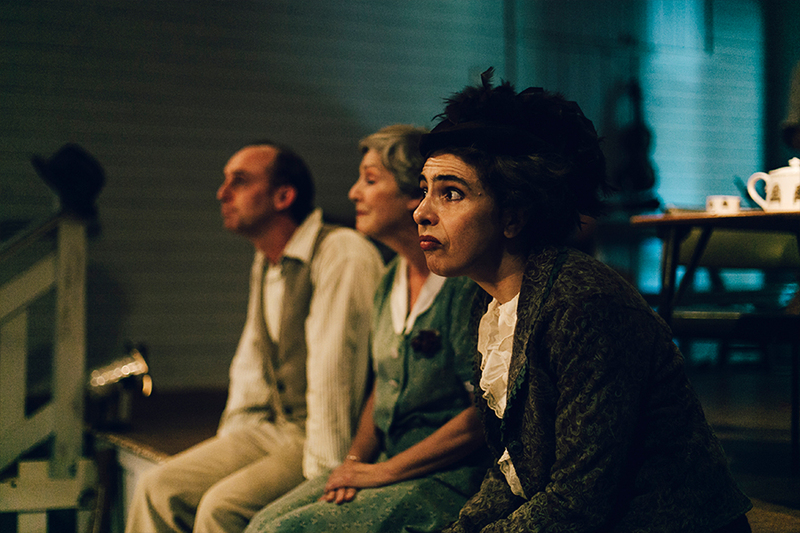 We aim to entertain, using local stories that are influenced by associations with a specific place, and so give expression to universal themes. Some common links to emerge from the research were the endless meetings and especially the importance of music and dance. Inside the music and on the dance floor we hear both personal and familiar stories and find ourselves in the dance of life. In Dreamland we meet the ubiquitous committee who are more like spirits of the hall, the keepers of memories and time. Through the agency of these ‘ghosts’ we hear stories of love, of loneliness and of a sense of the changing nature of community. Then there’s the ‘newbie’ Jason, who in some ways represents our modern need for connection and belonging. His struggle to give meaning to his life in a regional area is suggestive of the struggle of successive waves of settlers, from those who cleared The Big Scrub to hippies, to tree-changers. Thank you to the Eureka Hall committee, in particular to Fae Olive, and all the members of the Eureka community who gave their time to this project – we hope you enjoy Dreamland! We have all heard the adage – write what you know. I have not lived in a place like Eureka, but I grew up in a small country town in North Queensland and taught in a district that did not even have a hall. The two-teacher primary school was the focal point of the farming community. For me, Eureka Hall and the stories generously shared by members of that community evoked memories of Friday night dances at Buffalo Hall – the ‘ladies’ seated along one wall, the ‘gents’ standing opposite, both groups eyeing each other. Pops was sprinkled on the floor. 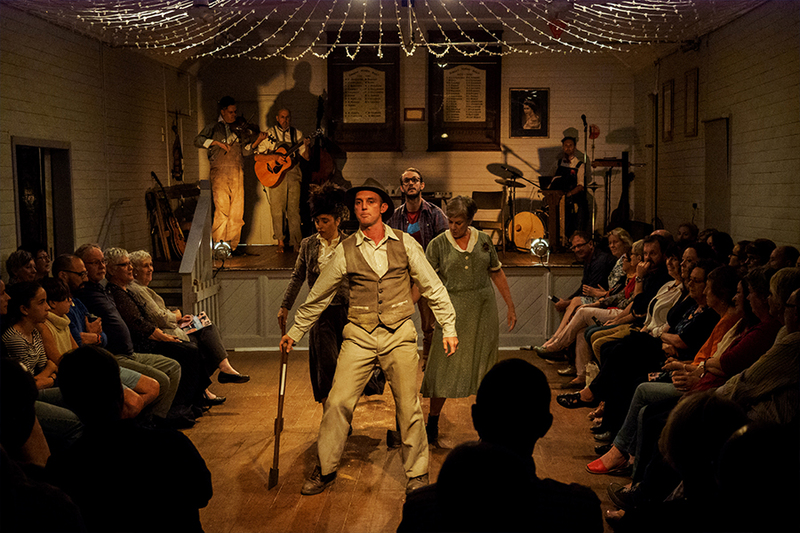 Came the call, ‘Gentlemen select your partners for…’ Pride of Erin, Waltz, Fox Trot, Gypsy Tap… and we were off. Partner dancing – then the Jive, Limbo, the Stomp and everything since. The dances and balls – dancing gave meaning and expression to life. It is where people met, fell in love, broke up… and got on with it. There was a place for everyone, the popular and the plain, those who could dance with grace and those who bumbled awkwardly about. Music and dance are wonderful triggers for memory, and dance is a delightful metaphor for life. The challenge for Julian and I was to find ways to explore notions of community dance in story telling, how to use and incorporate dance or movement to tell the Eurekan stories and events that had excited our interest. For example, can we tell the story of the clearing of The Big Scrub through dance using real axes? Can we evoke the sense of Saturday afternoon soccer matches by incorporating soccer drills in dance moves? Can we spark that nostalgic yearning for community by sharing stories about dancing, together and alone? Fae Olive teaches Julian Louis, Artistic Director of NORPA the barn dance. Listen to Stories from Eureka Hall on ABC Open. Listen to Creating Dreamland for Eureka Hall on ABC Open. Listen to Actors Kirk Page and Toni Scanlan talk about Dreamland on ABC Open. 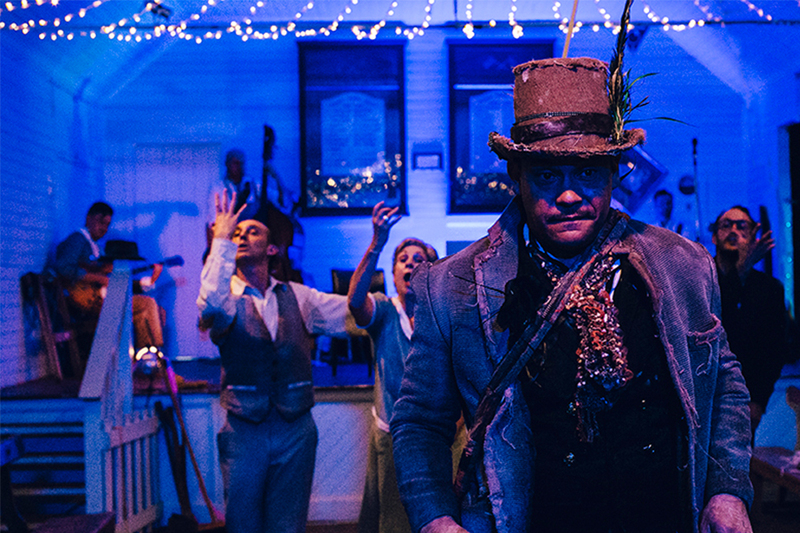 Dreamland was a feature event in If These Halls Could Talk, a region-wide season of contemporary arts events that was held in seven community halls across the Northern Rivers region from the 17 September – 17 December 2016.